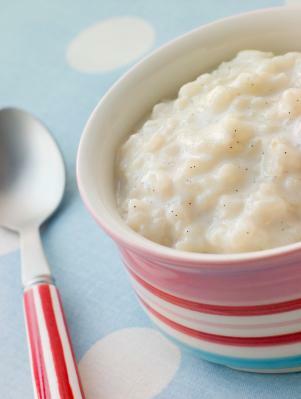 Sweet, mild and creamy, rice pudding is one of the ultimate comfort foods. Reasonably easy to make, the recipes featured in this category at LoveToKnow Cooking offer a variety of ways to prepare this classic dessert, as well as a few variations from around the world. Slow cooker method - Set up your rice pudding in a Crock Pot or slow cooker first thing in the morning, and serve your family a warm creamy dessert after dinner. Oven method - Consider baking your rice pudding in the oven, rather than using the traditional stove top method. Quick cook method - If you're pressed for time, consider giving a recipe for quick rice pudding a try instead of the slower, more traditional methods. Mexico - Give this Mexican rice pudding a try to see how it differs from recipes created just north of the border. Middle Eastern - Middle Eastern rice pudding has a distinctly different flavor than other kinds. Give the recipe a try to expand your palette. American - Sometimes the best recipes are the ones that are found close to home. Try an old fashioned rice pudding recipe to see how it stacks up against the rest. With so many rice pudding recipes at your fingertips, you'll surely find one that your entire family will enjoy. Make LoveToKnow Cooking your main recipe resource, and start enjoying the sweeter things in life.